The TigerSharks are experiencing rapid growth and incredible success. Our Coaches bring fresh ideas, the latest knowledge, experience and professionalism to their squads. Craig is a former British Midland District and National Age Group swimmer who was based at the Carlton Forum and Nova Centurion Swimming Clubs in Nottingham, England. His first coaching role was at Nottingham Leander; where he became the lead member of the team selection committee and Founder of the Clubs Junior and Age Group Development programme. During his tenure, Leander became the top Nottinghamshire competition Club for 7 years in succession as well as reaching three National Junior and three National Senior club finals in the British Speedo League. 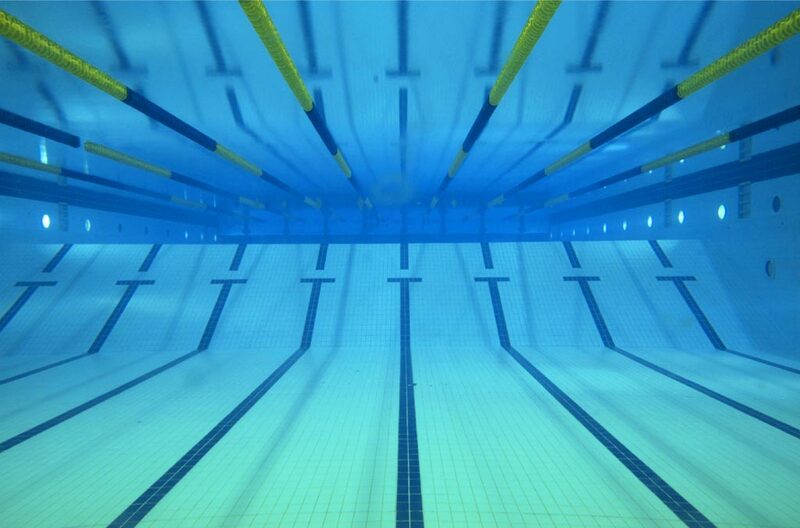 Nottingham Leander is also renowned for developing and feeding the Nottinghamshire County Swim Squad and its competitive outlet Nova Centurion. Craig was highly influential in the development of swimmers through this system which has seen Nottinghamshire, Midland District, U.K National, International, World and Olympic Champions. In July 2008 and just after his arrival to New Zealand he took over as the sole coach at Te Awamutu Swimming Club. The following four years saw the club rise into a major swimming force within the Waikato. The club grew not only swimmer wise but as an organisation with a completely new squad structure and Management team being put in place. This re-structure and growth saw the club produce Junior Age Group, National Division II, National Age and Open Age Group qualifiers and Champions. Following the London 2012 Olympics Albery was appointed as the inaugural Director of Coaching at Capital Swim Club in Wellington, New Zealand. The next three years saw Capital cement itself as the No1 club within the Wellington region as well as firmly being placed as a top three club in New Zealand. The club’s performances granted Craig the title of Coach of the Year for three successive seasons within the Wellington Region. This success placed Craig and his athletes onto the Swimming New Zealand Development and Youth Pathway programme, selection onto the New Zealand Paralympics’ team that placed fourth in Montreal at the 2013 World Championships, pool and open water Coach at the 2014 Junior Pan Pacific Championships in Hawaii and the 2015 New Zealand World Short Course team that travelled to Qatar. Craig became the Head Coach at the Casey TigerSharks in December 2015. Cliff began his coaching career at Potters Bar Swimming Club in Hertfordshire, England, as a Junior Coach while still swimming at the club. After four years and during a steep learning curve, he was given the position of club Head Coach. During his tenure, the club secured the under 14 County Junior trophy for the first time in its history. After migrating to New Zealand, Cliff quickly joined the teaching staff at Maranui SC in Wellington, where he worked with all levels from beginners to advanced swimmers during a 3-year spell with the club. In 2000, he joined his local swimming club in Karori, taking up the role of Assistant Coach. Four years later saw him switch to Majestic/Atrium SC and the position of Head Coach. Following his families’ relocation to the Waikato, Threadgold was appointed Head Coach at ACE Swimming Club in Hamilton. By the end of the 2008 season, and after a major rebuild, ACE had developed into the top club in the region. With this immediate success came several age group swimming and tri athlete gold medallists and a Masters national champion and world record holder. In 2012 Cliff was appointed by the Nepal Swimming Association to help develop their junior swimmers and coach their top athletes leading into the National Championships and then onto the London Olympics. During this period there were six national records broken and Cliff has maintained an advisory role with coaches in Nepal and their athletes. In September 2013 Threadgold returned to Wellington in New Zealand to take control of the junior program at the Capital Swim Club. The following two years saw the club’s junior athletes rise from a position of fifteenth in the country to fifth. More pleasing for the club was the amount of athletes that achieved the National qualification standard whilst under his tutelage. His guidance saw a club record number of qualifiers at the 2016 Swimming New Zealand Junior Championships with numerous finalists and medal winning performances. Cliff was appointed to the position of Coach at the Casey TigerSharks in April 2016. 1993-4 Brian Williams Tracy ?????? 1992-3 Brian Williams Tracy ?????? 1991-2 Brian Williams Tracy ????? ?